I mentioned recently that installing Fostex FE108-Sol drivers and removing the notch filters opened a new chapter in my audiophile journey, yet without good records this journey is leading to nowhere. In the context of my minimalistic approach, based upon crossover-less single-driver speakers, tube amplification and non-oversampling DAC, good record is one conceived in a process of utmost simplicity — use is made of single pair of microphones, no use of electronic manipulation or artificial correction of the signal — as the only way to produce natural sounding record. It turns out that Fonè Records founder Giulio Cesare Ricci not only follows this principle, but even going further ahead by recording the performances in their natural spaces instead in a studio. The discovery of Fonè records actually made my journey possible by transporting me in time and space as convincingly as very few other records could do. 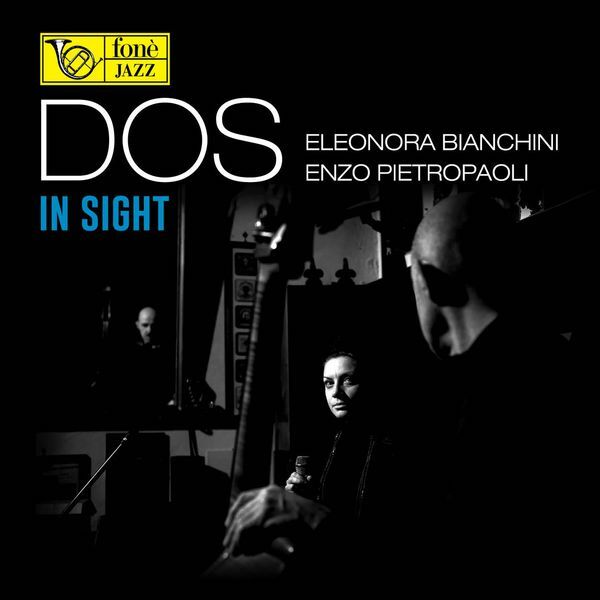 In Sight captures the dialogue between the voice of Eleonora Bianchini and the double bass played by Enzo Pietropaoli. The recordings took place in the Auditorium Hall at the Piaggio Museum in Pontedera, a location where the first Vespas used to be assembled in the early 1900s and particularly appreciated by Giulio Cesare Ricci for its truly excellent acoustics. Recording with fonè is a hard yet exciting challenge. This recording method allows capturing both the magic and the frailty of the instrument, which in turn must be used with accuracy and precision. The “dialogue” between the double bass and the voice marks the record, and it somehow recalls the relationship that stands between the funambulist and the tightrope he walks on: the physical contact with the rope creates confidence, giving strength and control to the tightrope walker. The second stage in the musical path of DOS brought us to a new place in which the third element of the band, namely acoustics, had changed. This gave us new emotions and different solicitations, especially in our relationship with sound. As per the previous experience, it has been a stimulating, constructive challenge, the umpteenth “photo” of an authentic moment never-to-be-repeated. This record as well as Pietropaoli’s Solo album are by far the most realistic double bass recordings I’ve ever heard. To capture the atmosphere and the instrument timbre in such a vivid way is an art in itself. When I record, I follow all my senses, which means not only what I hear, but more importantly the feelings that come into the soul and to the heart. For me, placing the microphones is something of a sacred ritual, almost a mystic art. I have to find, and I know that it exist and is waiting to be found, that pocket-handkerchief sized space of air where the whole atmosphere can be felt.